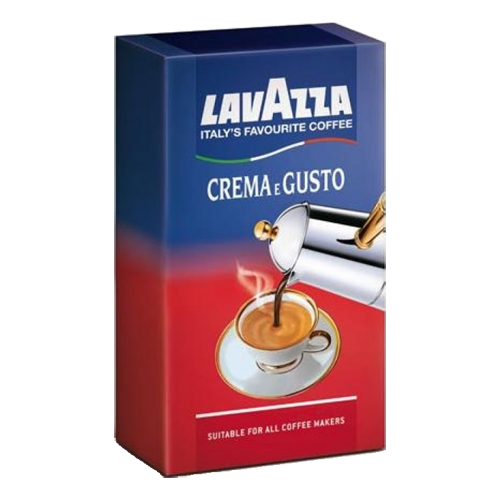 Lavazza Crema e Gusto ground coffee in bag is for those looking for an intensely pleasurable and strongly flavoured break at any time of the day (the right time). Lavazza Crema e Gusto is a blend with a distinctive character and is made of fine Arabica and Robusta coffee beans. A chocolaty blend with a distinct full bodied taste.